ADSL stands for Asymmetrical Digital Subscriber Line and is a type of Internet connection that uses pre-existing copper phone lines to transmit data. Plug DSL filter splitter into the phone jack. Plug the other end of that phone cord into the “DSL” jack on the DSL filter. 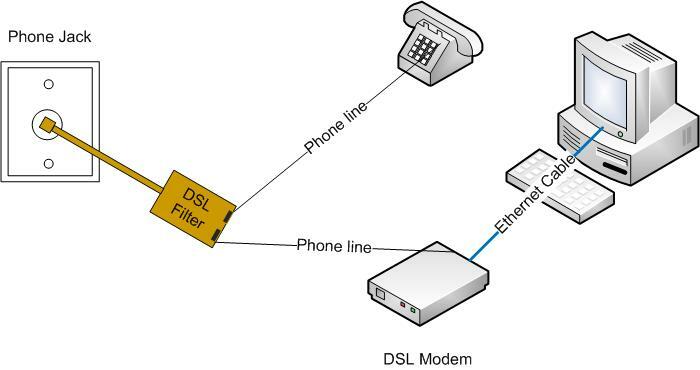 If you’re experiencing static on your telephone line while you’re talking to someone on the phone and have DSL service through Tranquility then you probably need a DSL filter setup on your phone line. DSL filters come in all shapes and size but are all installed just about the same. Below you’ll see an example filter and how to properly install it.